Catfish can be found in almost every river, sea, pond, lake or pool on the planet where there are fish including aquariums and tanks. Those bodies of water vary in pH levels according to the surrounding terrain. Ocean or saltwater tends to be more alkaline at 8.0 and above while freshwater fish thrive in pH levels between 5.5 and 7.5 – 7.0 being neutral; neither alkaline nor acidic. Where other fish thrive, you can bet some catfish variant does too. There's no such thing as a normal pH level for catfish or any other fish for that matter. Because rivers move, rain falls, humans pollute and mother nature dumps pretty much anything into water where fish live, pH levels are subject to change. Even in small controlled fish tanks, pH can be affected by everything from food to the addition of a new kind of fish. Even over the course of a day, pH tends to drop at night and rise during the day. The trick is to find out what pH level makes your catfish comfortable and develop a routine that maintains the tank at that level. Catfish, because they are opportunistic feeders, move from place to place wherever they can find food. As bottom feeders they move among the detritus on the bottom of the body of water they live in and feed on the debris. This food source is often a contributor to the alteration of the acidity or alkalinity of the surrounding water. Catfish, therefore tend to be more tolerant to changes in pH than other fish. In fact, a tank full of bottom feeding catfish may be more difficult to maintain at a constant pH because of their feeding habits. Freshwater catfish seem to do best at a pH between 5.0 and 7.0 – slightly acidic. Saltwater cats, because the ocean hovers around 8.0, a little more alkaline than freshwater, have adapted to and thrive in water more on the alkaline side. In a tank environment, the key is keeping the pH from changing suddenly or drastically. If there are other fish in with the catfish, whatever you do to keep them healthy will likely help keep the catfish healthy. 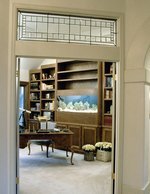 Sudden pH changes are the most common cause of fish kills in aquariums and fish tanks. 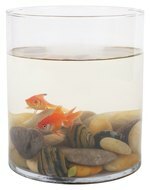 The pH of your aquarium should be tested every two weeks. Write down the pH in a log book so you can track any changes over time and monitor the efficacy of your maintenance routine. If your catfish are doing well and you find the pH low or high, resist the urge to alter the pH. If they are doing well, then they've likely adapted to the pH at its natural level. If they do show signs of distress, fish die or the pH is steadily changing, you will have to correct the problem. It's best to add pH balancing chemicals slowly according to manufacturers directions. If you need to make a significant change in ph, do so slowly to avoid shock to the fish from too rapid a change. Partial water changes and vacuuming the bottom of the tank are two things that best help maintain a stable pH balance. Stick with de-chlorinated tap water for water changes as it tends to be more stable and less susceptible to pH changes than expensive special aquarium waters. A pH of 7 is neutral and most catfish do well at this level. Over time the pH will tend to drop and become more acidic as wastes build up in the tank. Vacuuming and partial water changes will help correct that, but you may need to add some alkaline pH correcting chemicals. If you monitor and test, you'll soon learn the rhythm of your tank and be able to keep the pH balanced at a level your fish find comfortable.